There is no doubt that making the right employment decisions is essential to all businesses success. Not only are salaries and wages the biggest expense most businesses have today, but you place a great deal of trust in your staff. They are often the face of the business, produce the product that you sell and often have access to your bank accounts and assets. It is essential that before employing staff we know for sure what their true skills and abilities are, why they left previous positions and if they have any history which would inhibit them from doing their jobs to the best of their ability, and inhibit us from trusting them fully. Before appointing anyone in a position, you should make sure that you have all the necessary checks and references on them. WHO DO I PHONE FOR A REFERENCE? When you interview a candidate, make a note of who you want to do reference checks with. These are generally the last one or two places that the person worked for a significant period of time, in the last ten years. If there is a position on their CV, or a reason for leaving, that seems a little “fishy” then this is a good one to reference check. Ask permission to do the reference check, ask who to contact and tell them that you may speak to someone else at the company. Always ask for land line numbers rather than cell phone numbers. HOW MANY REFERENCES SHOULD I GET? Generally two references are sufficient, unless you have found problems in one references or are wanting to know how the person performed in a certain environment. You should not go back further than ten years, because a person can change a great deal in ten years. WHO SHOULD I GET THE REFERENCE FROM? 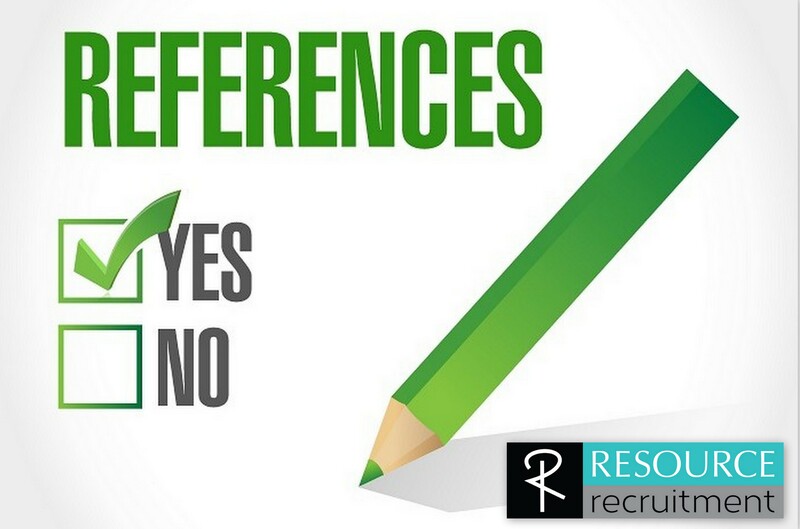 A person will list who you can contact for a reference on their CV. It is also a good idea to simply phone the receptionist, tell them you are phoning for a reference, and ask them to put you through the to relevant person. ** Never phone a persons current employer without permission, ideally in writing, as you could jeopardise their current job if their manager does not know they are looking. Personally I would recommend always doing telephonic references unless the company has closed or is overseas. You learn as much from the tone and what a person does not say, as from what a person does say! No one is going to show you a bad reference. The biggest reason that you wont be able to get a reference, is if a company has closed, or all the people that worked with the person that you are trying to get a reference on, have left the employ of the company. Another major reason is that some companies have a policy not to give references, and legally they do not have to. The trick in this situation is determining whether their reasoning is that it is their company policy, or if it is because they have nothing good to say about the person. What was (the candidates) position in the company? What dates was the person employed with the company for? What were their main responsibilities? To the best of your knowledge was there ever disciplinary action taken against (the candidate)? Would you recommend employment in a similar position? Did they have any personal problems that effected their ability to do their job, i.e. permanently sick children, drinking or drug addiction, mental stability, etc. Then make a list of competencies that you feel are important to your position and ask the referee to rate the person from 1-10, 10 being the best. An example of these competencies are ability to deal with deadlines; attendance; timekeeping and punctuality; relationship to colleagues; relationship to mangers; quality of work produced; trustworthiness and honesty etc. The aim is to keep the questions simple and competency based, so that you get the information relevant to how the person worked, and not a long casual chat which at the end of the day does not provide you with any relevant information to aid you in making your employment decisions. Interpreting a reference is entirely subjective. A reference can either be brilliant or terrible, but most of the time, it is somewhere in the middle. You have to accept that most times, if a person was happy with their previous employer, they would never have resigned and you would not be phoning for a reference. This means that the referee will confirm the facts, tell you what you need to know, but will not be raving. This is fine too. The aim of a reference is to confirm all the facts in the CV and that you know about the candidate, not to sell the candidate to you. Contact our consultants to find out more.